Congress is not in session; return to full sessions on Monday. May 7th. Today is also called May Day in much of the world especially in communist countries where the socialist workers are called upon to march in the street and sometimes even more bazaar and dangerous actions occur. 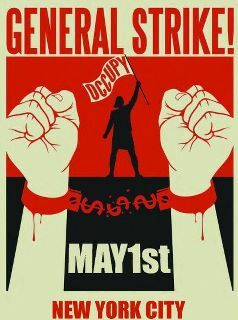 In the U.S., today the Occupy movement has called for "May Day' Protest From Coast to Coast" as detailed by ABC News. They are the direct opposite of the TEA Party movement which peacefully protested high taxes, overreach of government and even Obamacare. And unlike the hundreds of thousands at a TEA Party event in Washington, D.C. or even the 3000 people who showed up at a Teaa Party event in the rural Arkansas Ozark mountains, the occupy movement numbers are minuscule. The Occupy movement attempts to garner attention through abuse, intimidation and violating the law. As ABC News reported there were "An estimated 200 protesters are in Madison Square Park in New York City, while another 500 people are in Bryant Park. In Chicago, an estimated 1,000 people have gathered in a section of Union Park despite occasional rain, the Chicago Tribune reported." Where was the ABC reporting when larger numbers rallied at TEA Parties across the nation? Gary Bauer noted today, "After hibernating for most of the winter, the Occupy Wall Street movement has chosen May Day to stage its comeback. OWS has joined with other left-wing socialist movements here and around the world in calling for "a general strike with no work, no school, no banking and no shopping. "Yesterday, several banks in Manhattan received envelopes with white powder and warning: 'This is a reminder that you are not in control. Just in case you needed some incentive to stop working we have a little surprise for you. Think fast you have seconds.' The powder was non-toxic, but it had the desired effect: The banks were temporarily shut down thanks to this terrorist prank. There was rioting in San Francisco last night, and yesterday the FBI arrested five self-described 'anarchists' who were plotting to blow up a bridge in Ohio. 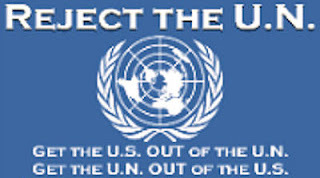 "The left-wing media desperately want to portray Occupy Wall Street as a legitimate political movement. But for whatever reason it is attracting some very unsavory characters. Liberal pollsters have warned Democrats to steer clear of OWS because so many of its supporters are willing to resort to violence to achieve their desired change. Rather than romanticizing the movement, serious journalists should be asking why the left is so intolerant and prone to violence." Today, the FBI thankfully foiled a plot to use explosives to blow up a bridge near Cleavland, Ohio. They claimed they arrested this group of anarchist who also planned to attack the Republican National Convention in Tampa, Florida this summer. In a speech to the AFL-CIO which Dana Milbank called “a campaign rally in everything but name” yesterday, President Obama again tried to accuse Republicans of opposing the repair of bridges and repeated a widely debunked claim he made last fall that a stimulus bill he was promoting would have funded repairs to certain bridges over the Ohio River. Another important fact to remember is that the new stimulus bill Obama was selling at the time had bipartisan opposition and wound up failing to get cloture in the Senate. Tags: Washington, D.C. Occupy movement, May Day, President Obama, bridges, stimulus, caught by media, Pinocchios To share or post to your site, click on "Post Link". Please mention / link to the ARRA News Service. Thanks!